Transformer Oil and its Properties - ! Equipment for Transformer Oil Reclamation. GlobeCore. Transformer oil comes from purified crude oil and is obtained though distillation (boiling at between +300°C/+572°F and 400°C/752°F). Depending on the origin of the crude base stock oil, it will contain different properties. 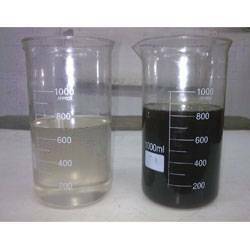 These distinctive properties of the feedstock will have an affect on the the properties of the oil. Oil has a complex structure of hydrocarbon molecules with an average weight of 220-340 AU, and contains the following main components . 1. Paraffins 10-15 % 2 . Naphthyl or cycloparaffins 60-70 % 3 . Aromatics 15-20% 4 . Asphalt resinous substance 2.1 % 5 . Sulphur compounds < 1% 6. Nitrogen Compounds < 0.8 % 7. Naphthenic acid < 0.02 % 8. Antioxidant additives ( ionol ) 0.2-0.5 % General Requirements and Properties The Dielectric properties of oils are mainly determined by the dielectric loss tangent. The all important “Dielectric Strength” of transformer oil will be greatly reduced by the presence of fibers, water, and other contaminates found in the oil. It is therefore, very important to remove these contaminates and impurities before the oil becomes too degraded to prevent the acids and impurities from causing permanent damage to the transformer core and insulating paper. Extreme low temperature pour point (-45°C -49°F and below) is also an important quality found in the better brands of insulating oil. The low temperature pour point indicates the oil’s ability to flow in extreme cold. Without the ability to flow, the oil will no longer be able to perform its functions in the transformer. To ensure effective heat dissipation transformer oil should have a viscosity of at least 90 at 150°C (+302°F). One of the most important properties of transformer oil is the ability of the oil to resist the oxidation process over periods of extended use under adverse operating conditions. Today, many transformers use “Inhibited Oils.” An inhibited oil contains anti-oxidant additives that help to slow and inhibit the oxidation process. Hence the name “inhibited oil.” The most common anti-oxidant additive used to inhibit oil is Ditertiary butilparakrezolom (DBPC-2.6). DBPC-2.6 is also known by the names Ionol and Agidol -1. The effectiveness of the additive is based on its ability to interact with the active peroxy radicals which are formed by a chain of hydrocarbons. The oxidation reaction is the main carrier of the peroxy radicals . 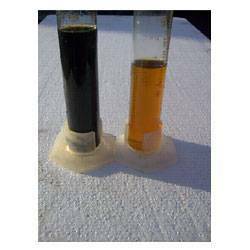 Transformer oil inhibited with Ionol usually creates a pronounced induction period which is good for the service life of the oil. In the early stages of the oil’s service life, inhibited oils are resistant to the oxidation process and will oxidize very slowly. The oxidation chains are broken by the presence of the oxidation inhibitor additives. After the anti-oxidation additives have become depleted over time and through extended use, the oil will oxidize at a rate close to the rate of oxidation in an “uninhibited” base oil. Beneficial effects of the additives The more effective the anti-oxidant additive is, the longer the oxidation induction period in the oil will be. Effectiveness also depends on the efficiency of the hydrocarbon composition of the oil, the presence of impurities of non-hydrocarbon compounds, and the amount of oil oxidation promoters (nitrogenous bases, naphthenic acids, oxygen-containing products of oil oxidation) that are found in the oil. Anti-oxidant inhibitors have been found to greatly increase the effective service life of the insulating oil by slowing oxidation caused by acids and other harmful impurities giving rise to aggressive degradation of insulating paper. Some of the main characteristics of transformer insulating oil are as follows: Oil is a fuel, biodegradable, practically non-toxic, and does not cause damage to the ozone. The density of transformer oil is usually in the range of (0.84-0.89) × 103 kg/m3. Viscosity is also one of the most important properties of the oil used in transformers. From the standpoint of high dielectric strength, it is desirable to have a higher viscosity oil. In order to perform additional tasks in transformers (such as heat transfer and cooling) and switches, the oil must have a lower viscosity. Otherwise the transformers will not be able to be properly cooled, and switches can break arc. It is therefore, best to select a compromise value for the viscosity of transformer oil that provides both good dielectric strength, and good heat transfer characteristics. Kinematic viscosity for most oils at +20°C/+68°F is 28-30 × 10-6 m2 / s .